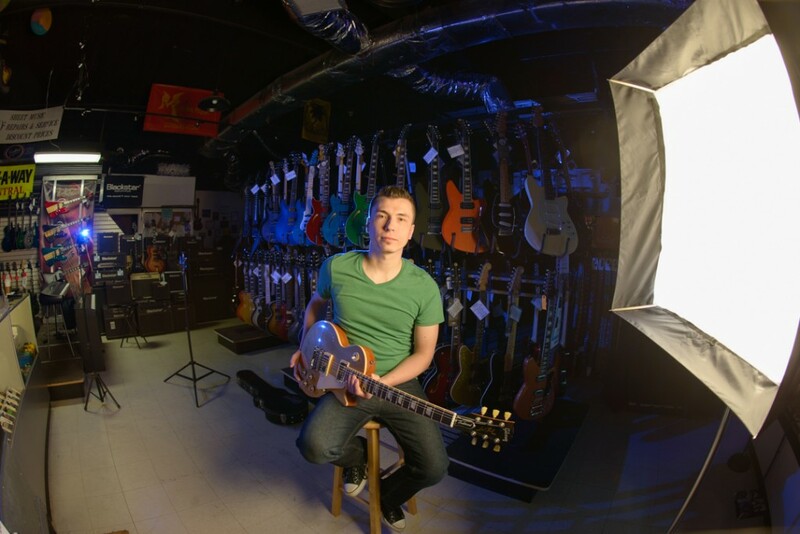 To capture this portrait of a musician, photographer Benny Migs utilized a 4 speedlite setup. 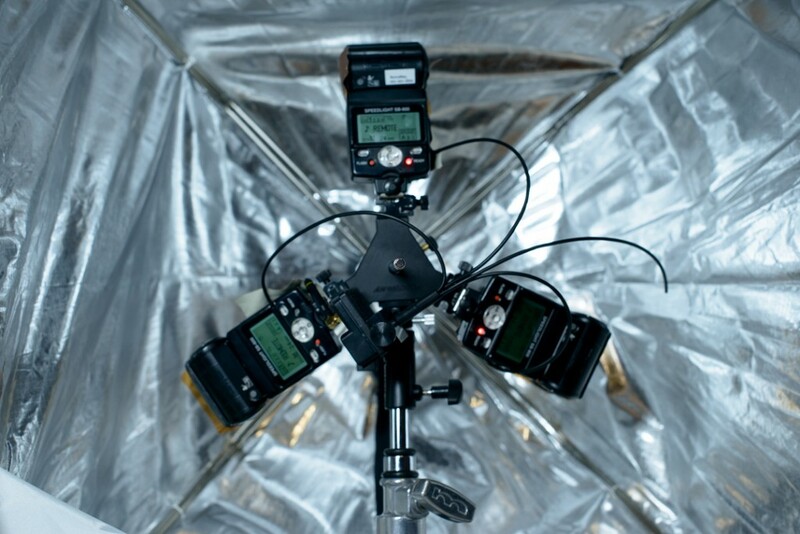 Three of these speedlites were modified by the Westcott Medium Apollo softbox. 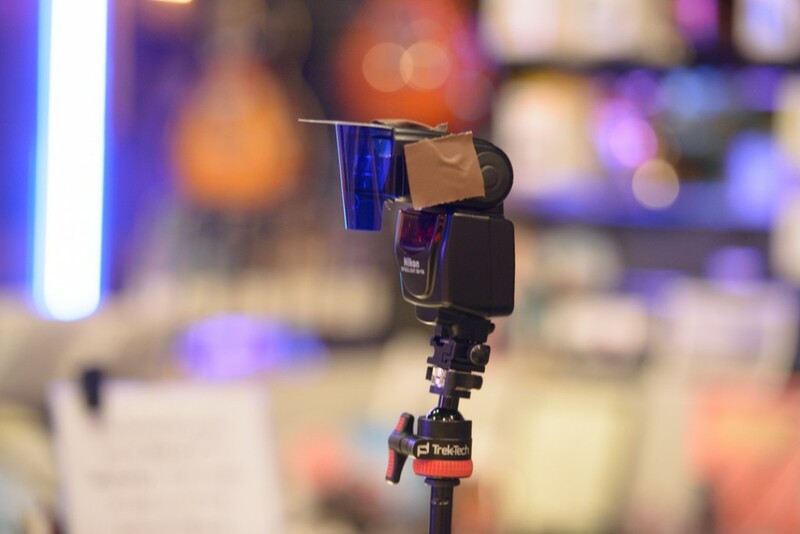 These 3 speedlites were mounted on the Triple Threat Bracket, allowing Benny to maximize his light output. 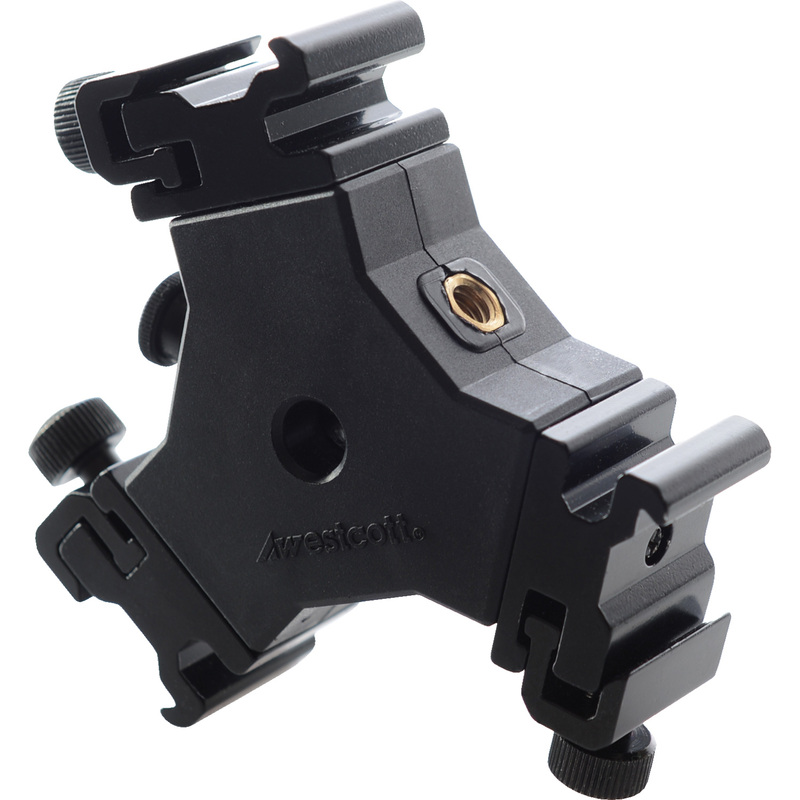 This bracket mounts onto any standard umbrella shaft, like the framework featured in the Apollo softbox series and in most photography umbrellas. 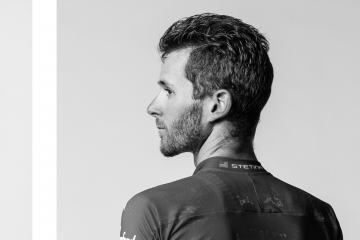 Benny’s final speedlite was gelled with a blue gel and was used to backlight his subject and the background. This casts a dramatic blue light upon the musician and his surroundings. 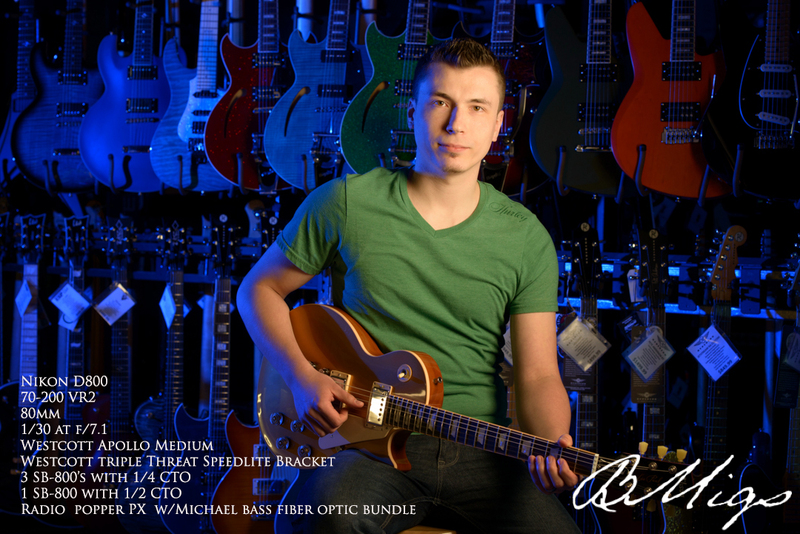 I want to thank Monster Music in Levittown, NY and Mike Zegelbach for letting me use their store for this shoot. 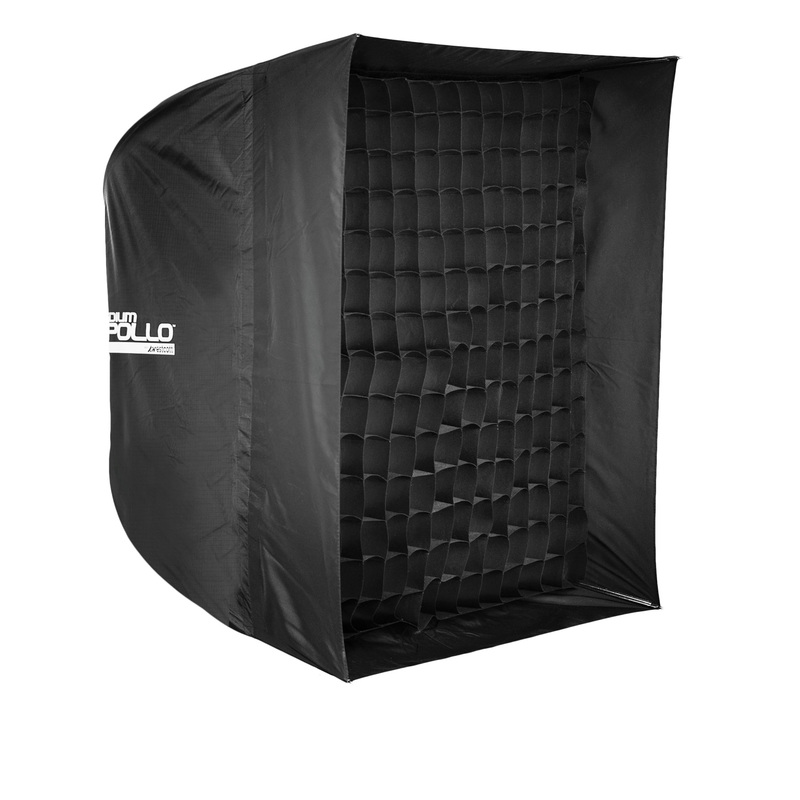 This was my first shoot with the Apollo softbox. Needless to say I was very happy. 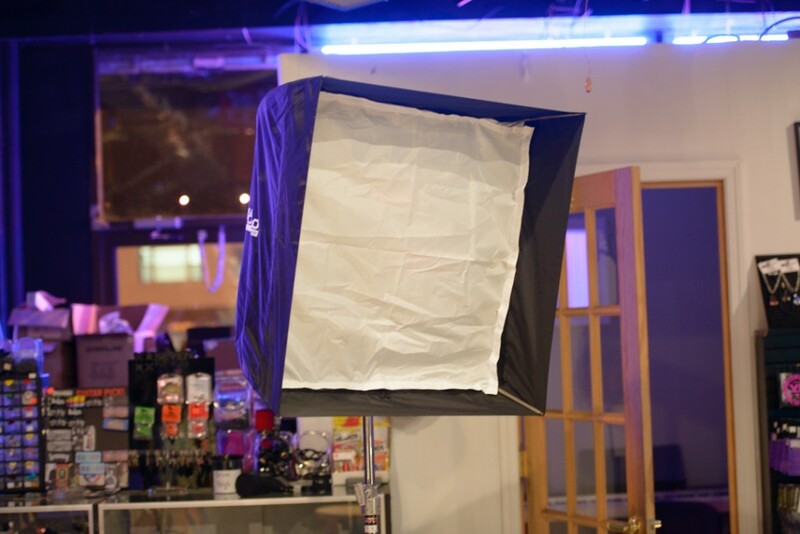 I love that you can use it with any type of light and as an indirect or direct soft box. I used it as an indirect in this photo. Meaning the flash is aimed at the inside silver and bounces back on to the subject. I loved the large recessed edge. 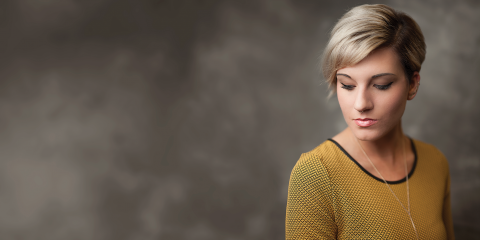 This made is very easy to control my light fall-off so I was only lighting the subject. This will be in my location kit for every shoot in the future. 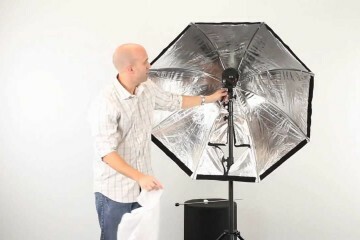 Please visit his blog to see more lighting setups and portraiture from Benny Migs. 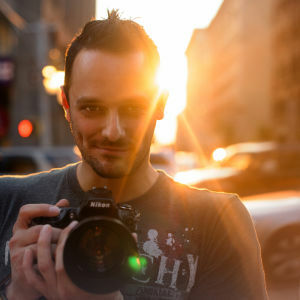 This blog post is courtesy of New York portrait photographer Benny Migliorino.